Lighting a room is a task that is both fun and challenging at the same time. The wide range of lighting installations, and the endless choices, design styles and brilliant hues captivate and enthrall us. Yet, getting the lighting fixtures right is often an act of walking the tight rope that most homeowners can’t seem to master. What seems so inherently simple has several layers of complexities, and often we end up going overboard and flooding our homes with an inordinate amount of illumination. This is particularly true in the case of bedrooms, where we install several different types of lights without taking into account the eventual output. 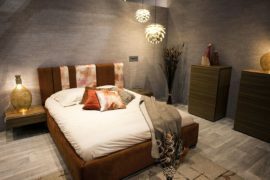 The first and most essential aspect that defines your lighting choices in the bedroom (or any room, for that matter) is the size of the room. 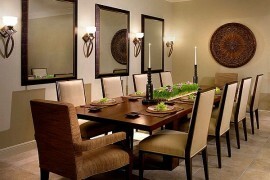 You need to pick fixtures that emit enough light to illuminate every corner of the room in the desired fashion. The common tendency is to place way too many lights hoping that the presence of ample illumination will reflect your detailed design planning. But in reality, this does just the opposite, and the room looks too bright in one corner and dim in others. Even as sculptural additions, the pedants and chandeliers that you choose must be proportional to the size of the bedroom and surrounding decor. 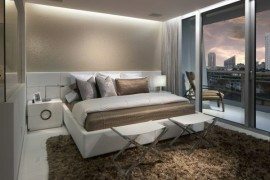 Your bedroom lighting must also reflect and enhance the design theme and the color scheme that you have incorporated with such meticulous care. If you have a room that is glamorous and borrows elements from chic Hollywood Regency, then a gorgeous cascading chandelier is the perfect centerpiece. 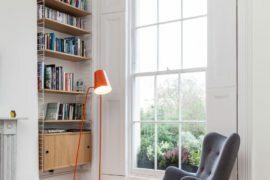 For those looking to go in the opposite direction and embrace a minimal theme, simple recessed lights coupled with sleek sconces like the Serge Mouille Lamp are the ideal choice. 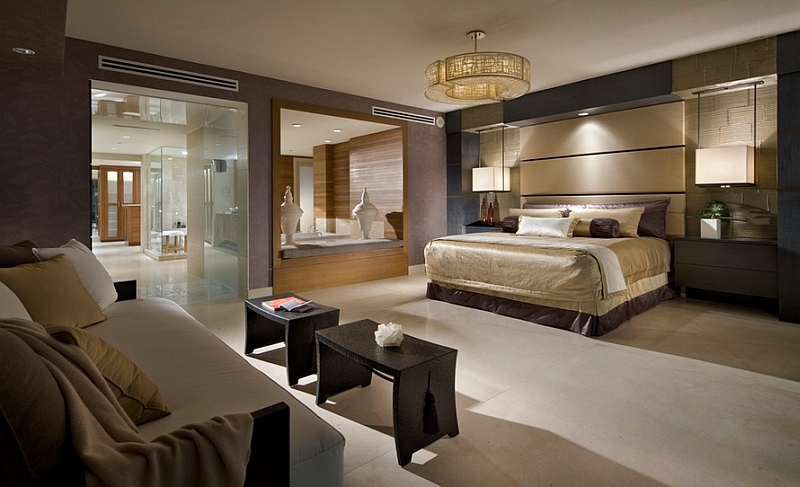 You can even bring in a cool hotel room vibe by opting for sconces that have a more traditional appearance. There is absolutely NO substitute for incorporating several different layers of lighting that work in conjunction to offer the perfect look. Every space that is elegantly designed includes various types of lights, and you cannot replace this with an overwhelming number of recessed lights and make up for the loss of accent and task lighting. 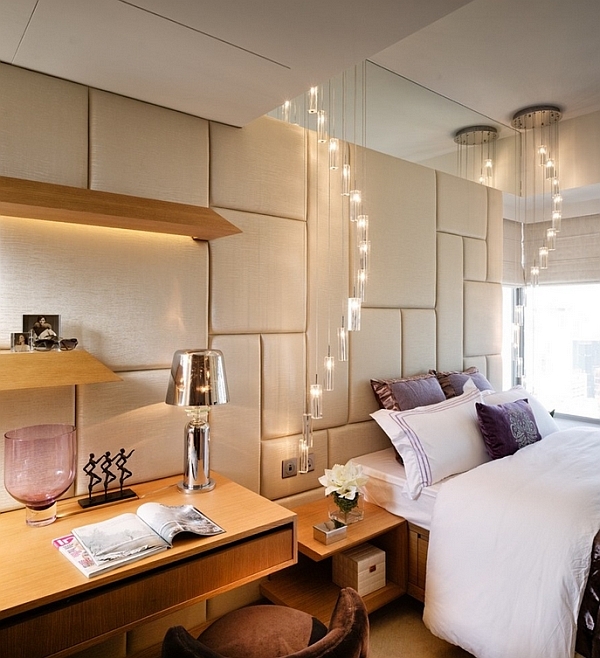 While ambient light defines the general aura of the room, task lighting offers focused illumination for specific nooks. 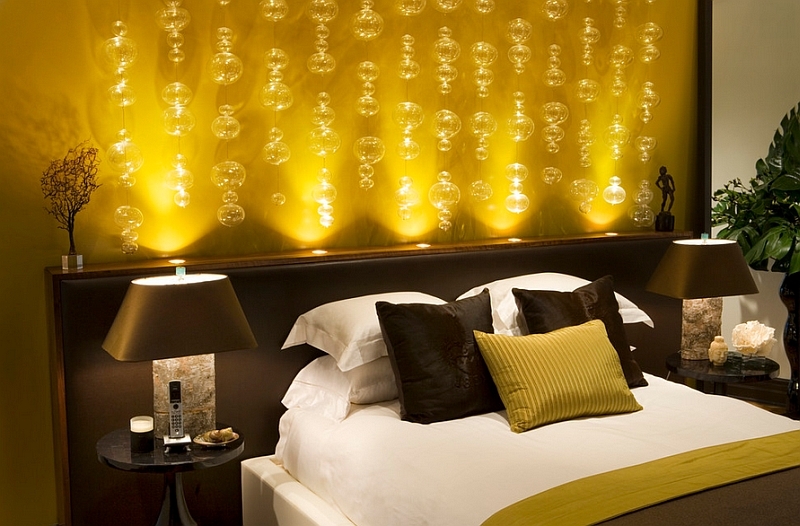 Accent lighting allows you to highlight the feature that you feel is the focal point of the room. This could be either a modern fireplace or even bright artwork. 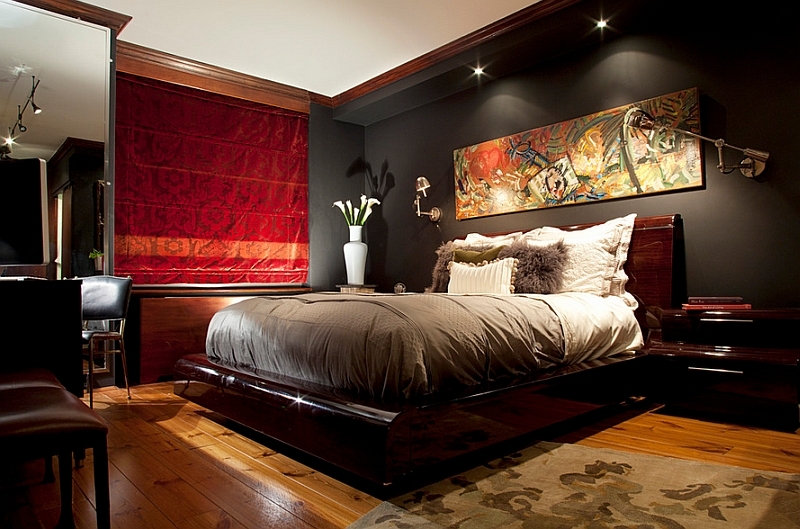 All three types of light combine to make your bedroom truly stunning! Bedside lights have evolved a whole lot in the last few years. No longer are they restricted to simple table lamps on either side of your giant bed. Exceptional pendant lights and sconces have replaced the traditional table lamp. These new and suspended additions free up space on your bedside tables and even offer you the option of doing away with the tables too. They also give you the comfort of catching up with a book before dozing off, even if you happen to own a small bedroom with little room for additional decor. This in no way means that the table lamp is done and dusted. 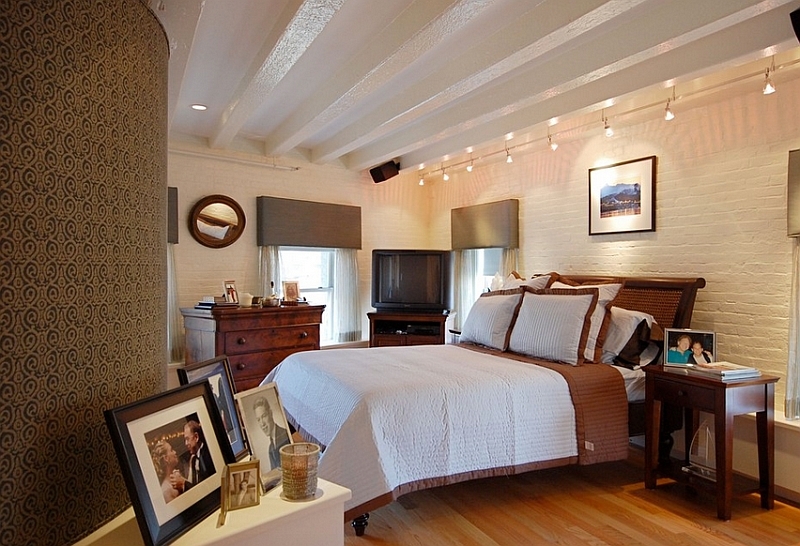 One unique lighting feature that showcases your bedroom in a whole new light is the dimmer. Having the dimmer feature allows you to easily swap between various moods of lighting with the touch of a screen or the press of a button. Considering the technology at our disposal these days, the options are simply endless. So next time you wish to switch between reading a book to tranquil meditation, you will not have to find a whole new room. If the other layers of lighting serve the first purpose of lighting: illumination, dimmers serve the secondary purpose of fashioning and accentuating the mood. 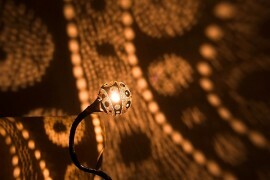 Another mistake that most of us make while choosing the lights for our bedroom is to place aesthetics above ergonomics. 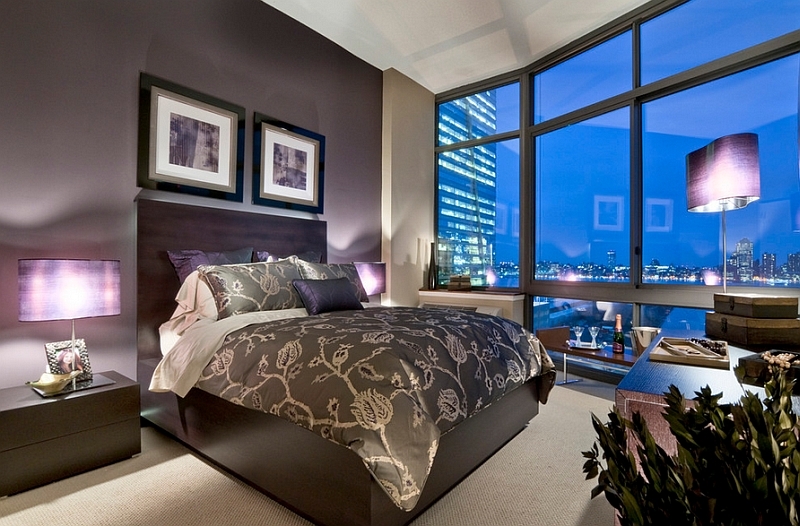 Yes, a certain chandelier or floor lamp might look exquisite and amazing in the showroom and even in your bedroom. But does it provide the right illumination? Will it function well when you add other layers of lighting? Remember that at the core of it all, you are looking for the right lights. 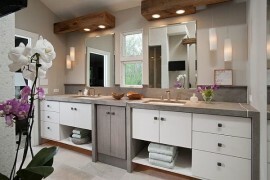 So, do not just think about decorating with fixtures as the primary aspect of the process. Be it the color of the lampshade or that of the bulb itself, a minute change in the hue and shade can alter the look of the bedroom completely. Warm and fuzzy white lights bring a sense of serenity and calmness and are great even for those passionate, romantic evenings and nights. 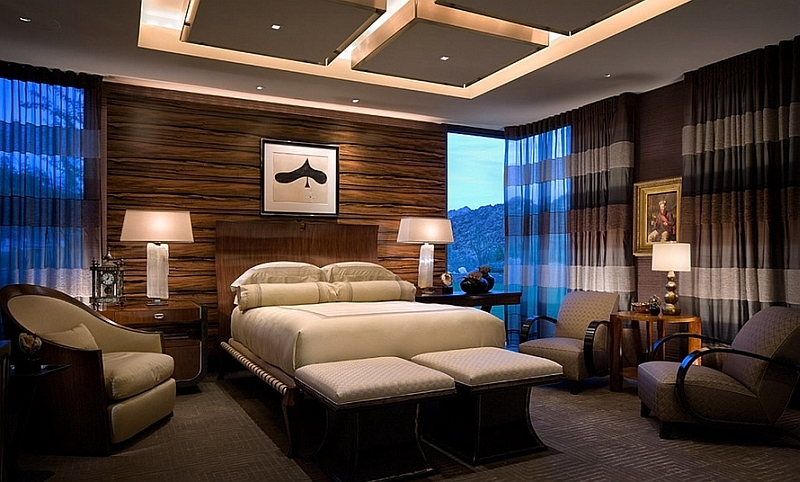 Brighter lights tend to elevate the grandeur of the room and make it far more alluring. 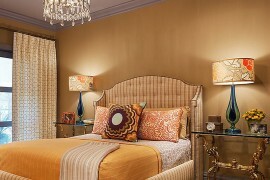 Lampshades also can be used to alter the appeal and even the color scheme of a modern bedroom. If the bedroom backdrop is predominantly neutral, then a simple switch in the lampshades can alter the accent hue of the space.